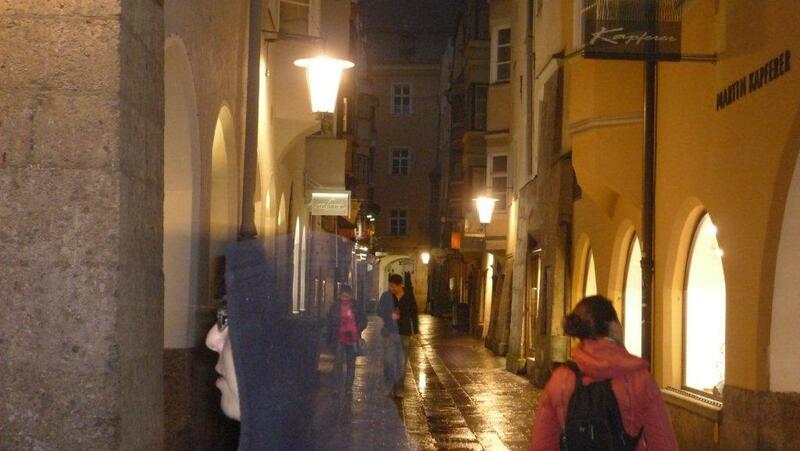 Today I have decided to show you the witnessing and the photo of a ghost who appeared in a photo took by Rosalba along with the technical report prepared by the qualified person, a digital photo teacher, to whom the photos were shown. Let’s start the story from the beginning. The little picture and a photo of the screen of the PC is saved too. How strange … We’ll try again during the following days. Doing the same things and the same enclosures to download and open them, but the photo Listener doesn’t appear anymore. When the photo’s opened again, the big photo I sent reappears. 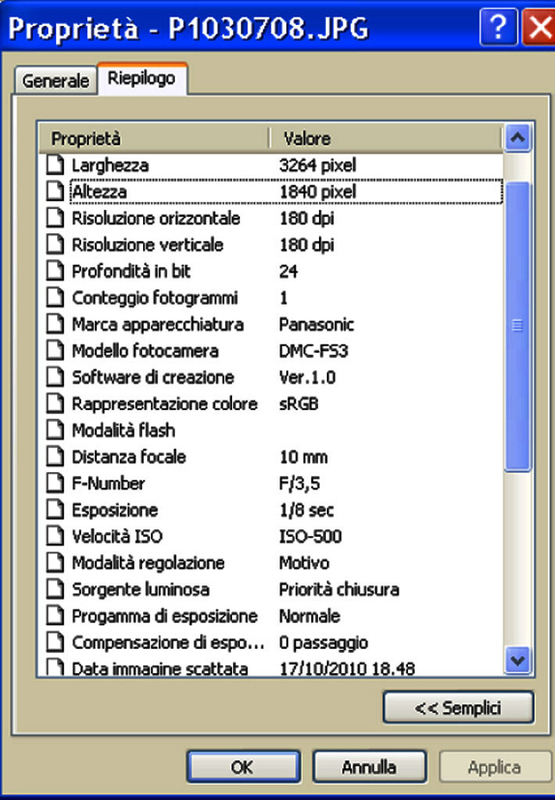 The photo has been taken on Oct.17th 2010 at 18.48 and these days it has been scanned with McAfee antivirus plus” that didn’t highlight any virus, worm, Trojan etc. The same photo has been subjected to a careful “visual” and technical investigation using “Adobe Photoshop CS3”. The visual survey suggests that a photo taken has been taken at night with an element of a human image in the foreground, not belonging to the background of the picture underneath it. As stressed by the features of the image these’s a shutter release time equal to 1/8 of a second (exposure). Such a long time ought to necessarily show itself in the immediate visual picture of a person photographed in the evening/night and glow wake would distinguish the image we are speaking about. This all because the subject is staying still, and is moving a bit anyway (he breathes and so on), and who takes the photo too how ever still, he undergoes noticeable micro movements with a blurred photo for so slow shutter times. This thing not confirmed in a very obvious way after having zoomed various times on the photo. Sometimes it happens with an analogical one: it may happen that the film gets stuck while it rolls, and that on the same frame you can find two different snaps (overlapping) with a different density of the negative. You can get perfect overlapping in digital using a professional tolling programme, but in this case, it’s clear that there is a intentional will a sort of “bad faith”. The above photo being opened with Photoshop C53 had been zoomed 20 times to enlarge it. This makes us confirm that in the area of separation between the image in the foreground (blue sweatshirt) and the images in the background, there are no overlapping pixels or anything else: that suggests there’s a perfect incessancy between the two differences of the photos; that is, they seem to be only one photo, by an only snap, according to me. The photo shows due different densities: one more “dull” that is, more full photografically which is the one in the background, the other one more see-through, so less dull, and is the image in the foreground. The effect can be done with Photoshop but as it results with a perfect and professional outline of the picture, and of a overlapping in which the pixels of “both” interfuse well with one another. With Photoshop you would use masks, layers, selection tools, blending layers and other things. We discover that the photo was taken on Oct. 17th 2010 and not on Oct. 25th Rosalba will remember that the photo was taken on their first evening in Innsburg Austria during their first walk. So now we know everything about this photo but there’s still the mystery of why that face appeared on Rosalba’s photo and there’s another mystery: How come when now the technician who has seen the photo and has written the survey, when he opens the photo P1030708.jpg the photo doesn’t appear any more but only a graphic work by the technician? What’s this boy trying to nicely show us? Maybe that he’s a great graphic artist too?